Are you a land manager here in the in the North Coast? Are you curious about your soil and where it comes from? 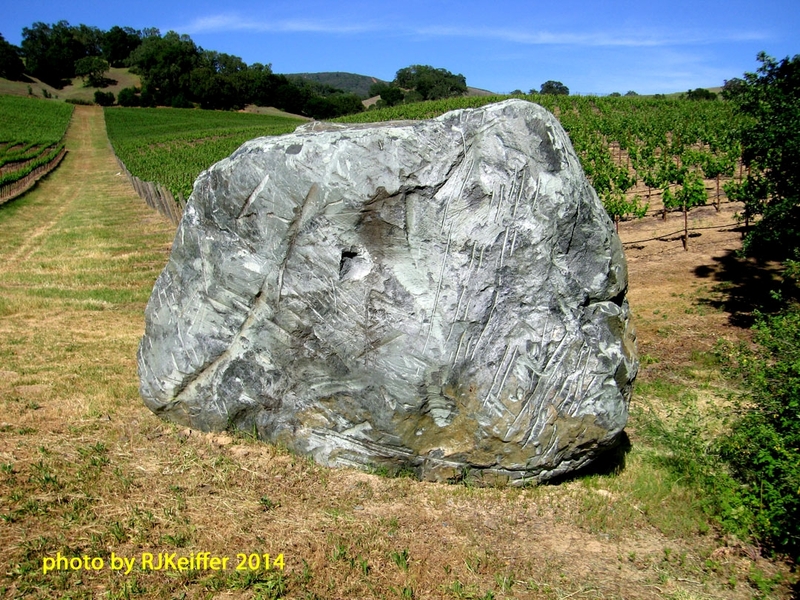 Are you intrigued by unique rock features such as "Frog Woman Rock" along the Highway 101 south of Hopland? Do you wonder where that "blue" soil comes from? ... or that lone "blue rock" like the one below? If you answered "yes" to any of the above then you have a curiosity and an interest in the Geology of the California coastal region. This next Monday evening, May 19th, at 7:00PM, the UC Hopland Research & Extension Center will be hosting another FREE evening seminar at the Rod Shippey Hall extension room. Bill Gawthrop, who worked for the U.S. Geological Survey for a decade, mostly researching earthquakes in California, will be speaking. Bill also founded the Green Mountain Geophysics and taught at Cal Poly. He is a wealth of information and can explain the science in layperson terminology. The public is invited to this event... so we hope to see you there. You will have your chance to ask questions of Bill at the end of the program and socialize afterwards.